Indeed, since the time of the Monroe Doctrine, which appeared in 1823, the Marines, the Army, the Navy and the CIA did not recognize any borders in the Western Hemisphere. Therefore, in order to present a possible development of events in Venezuela, where US President Donald Trump "appointed" the self-styled "interim" president instead of the current, but unacceptable to Washington Nicholas Maduro, just look into the past. And we can give some examples of US "concern" for Latin Americans. The Latin American colonies of the European powers fell away from their metropolises as a result of the French Revolution and the Napoleonic wars in the late XVIII - early XIX centuries. The revolutionaries received serious material and moral support from the United States, which, however, did not allow them to create strong states from the former, mainly Spanish, colonies in order to dominate them themselves. The Monroe Doctrine proclaimed that the entire Western Hemisphere is a zone of vital US interests. The European powers after the victory over Napoleon, despite the principles of the Holy Alliance, which demanded the restoration of the power of legitimate monarchs, including in the colonies, washed their hands. And Washington began to terror and plunder its weak southern neighbors. To then declare that it considers "any intervention by the European power in order to oppress these countries or to establish any control over them as an unfriendly step towards the United States." Washington warned Europeans: forget about the colonies in the New World. American perfidy, aggressiveness and greed were the first to be felt by Mexico, freed from the rule of Spain, whose territory was halved after several wars with the United States. The states of Texas, California, New Mexico, Arizona, Nevada and Utah - all this was once Mexico. Periods of relative "peace", were replaced by new wars and territorial divisions, the seizures of remaining European colonies in the region. 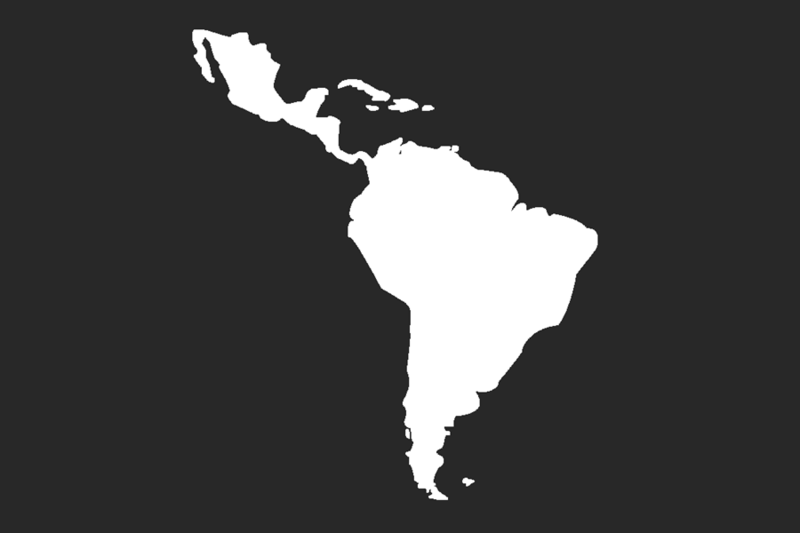 And when this was not enough, the United States resolutely redrawed the borders of Latin American countries. So, the Yankees tore Panama from Colombia, which they made an “independent” state in order to take control of the Panama Canal zone. In the course of the Spanish-American war of 1898, the Americans seized from Spain its last colonies in the region, including Cuba. Latin American countries were severely robbed and exploited, especially their natural and human resources. Their current poverty and misery is a direct result of US imperialist policy. And when somewhere and someone in the region tried to limit the appetites of American corporations, conspiracies, coups, landings of the US Marine Corps and the regular army were repeated again. The USA provoked civil wars, blood flowed like a river. Thus, the overthrow of Guatemalan President Jacobo Arbens in 1954, who tried to carry out a deep land reform and nationalize with the payment of just compensation for the land of the North American United Fruit Company, led to ... decades of military terror and civil war, which claimed the lives of about 140 thousand people. With the growth of resistance to the US policy in the region (Cuba and, to some extent, Nicaragua, is a successful example of resistance), the ferocity with which the US “brings order” to its “garden” is growing. In 1983, under the fake pretext of the United States invade Grenada and seize the island. In 1989, Washington conducts an even larger deterrent operation in the region: under the pretext of "ensuring democracy", as well as the traditional "excuse" about the need to protect the lives of US citizens, F-117A stealth aircraft that fell out of the hands of Washington DC combat helicopters AH-64A, armored personnel carriers, tanks, several tens of thousands of American troops. Until they suppressed strong resistance and captured the country's ruler, General Manuel Noriegu, air strikes and shelling of the Yankees smashed entire areas of Panama City into pieces. According to official figures, about 500 Panamanians were killed, according to unofficial and more truthful - several thousand. The main losses occurred in the civilian population. The number of wounded as a result of the operation was many times greater. 15 thousand people were left homeless. The economy and the standard of living of the population of Panama fell sharply after this bloodletting. This is the way “freedom” and “democracy” are carried by the USA to Latin America. Obviously, now is the turn of Venezuela.